After an Anderson, Indiana family expressed concern about the quality of care at a local nursing home, state representative Terri Austin authored legislation to strengthen protections for patients in long term care facilities. The bill, which will now go to the Indiana Senate for approval, would require facilities to provide prospective residents and family members with written information regarding the ombudsman, who is the professional chosen to develop that resident’s long-term care plan. The new bill would allow individuals of the resident’s choosing to be present during the development of that plan. 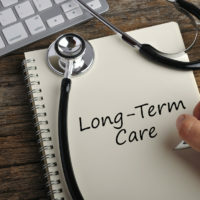 “The Older Americans Act’s long-term care ombudsman program is a consumer advocacy model intended to improve quality of care by helping the 2.5 million residents of almost 67,000 nursing and other residential care facilities resolve complaints about their care and protect their rights,” explains Carol O’Shaunessy of the Health Policy Forum. The program is intended to be a consumer advocacy model to help residents of care facilities resolve complaints. The concept behind the program was that the ombudsmen’s interactions and familiarity with residents would alert the staff to issues before they became complaints, acting as a deterrent to issues negatively affecting the quality of care. The need for new legislation speaks to the reality that improvement is needed in the process. At Ramey & Hailey Law, we are sometimes called upon to hold a nursing home, a convalescent home, a rest home, a rehabilitation facility, or an elder care facility legally responsible when harm has been caused to a patient or resident by abuse or neglect. Our mission in those intensely personal and deeply emotional cases is to help our clients through the difficult process of attaining the compensation they deserve. As important, we want to ensure that the care facility neglect or abuse suffered is not repeated on other innocent victims.